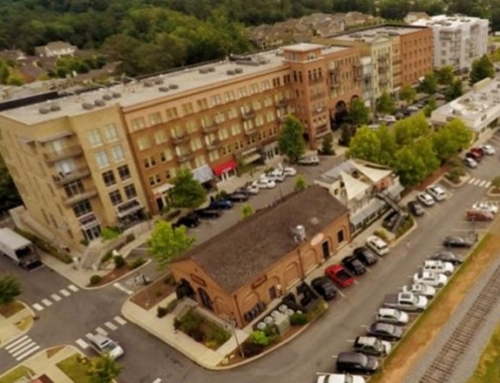 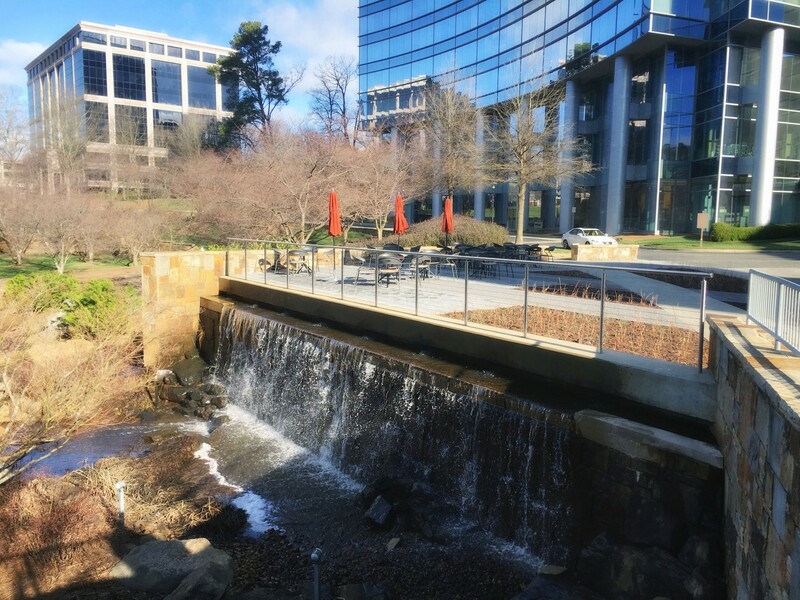 TSW completed landscape architectural site plans for alterations on a site at an existing office building on One Glenlake Parkway in Sandy Springs, Georgia. 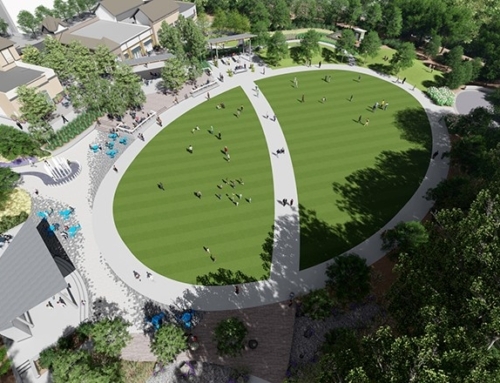 Site design included a flexible use ADA-compliant artificial turf lawn, a large shade structure with globe string lighting, concrete and ipe wood slat plinth seat walls, an on-grade ipe wood deck with a fire pit lounge, permeable paver plazas, and sunken rain gardens. 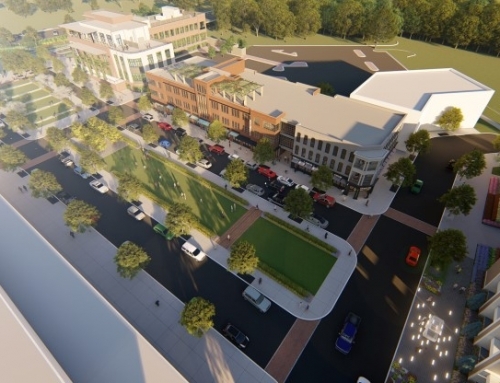 Permeable pavers improve on-site sustainability and hydrology while connecting two pedestrian plazas spanning a drive aisle, slowing traffic and giving the exterior space back to the pedestrian. 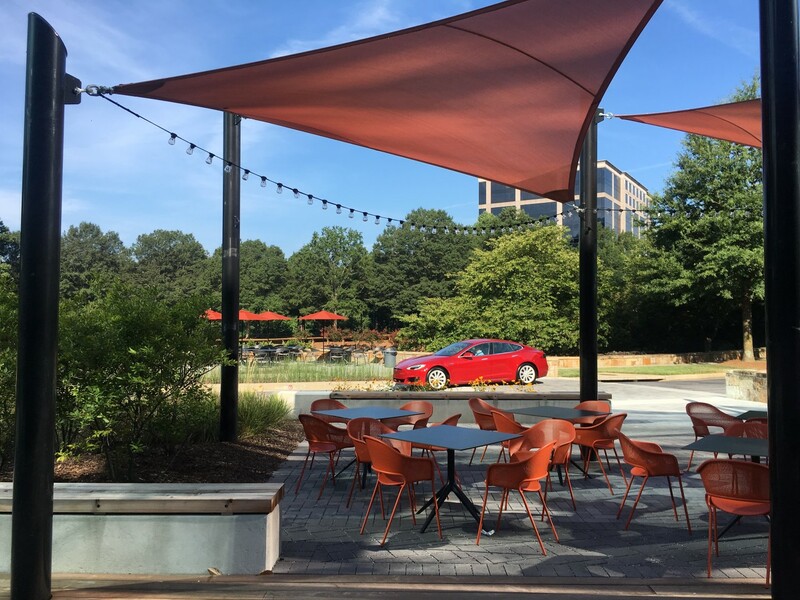 New speed tables in the drive aisles connect the two new plazas to the existing hardscape, further slowing traffic and giving users a completely accessible route to and through all exterior plaza spaces. 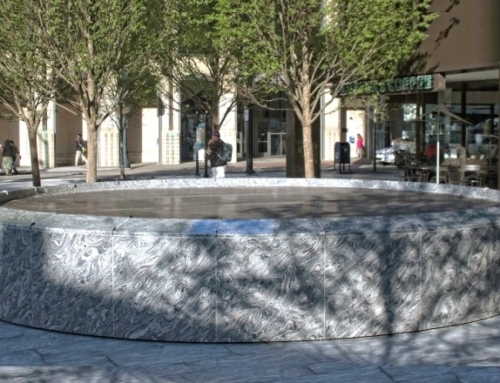 A suspended sidewalk that at one time bridged a water feature was retained in the design and integrated into the new plaza overlooking the existing waterfall. 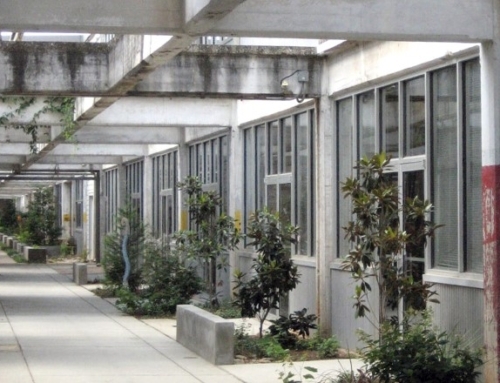 Permeable pavers fill the void left by the removed water feature, lying flush with the existing suspended sidewalk and creating a hardscape plaza space. 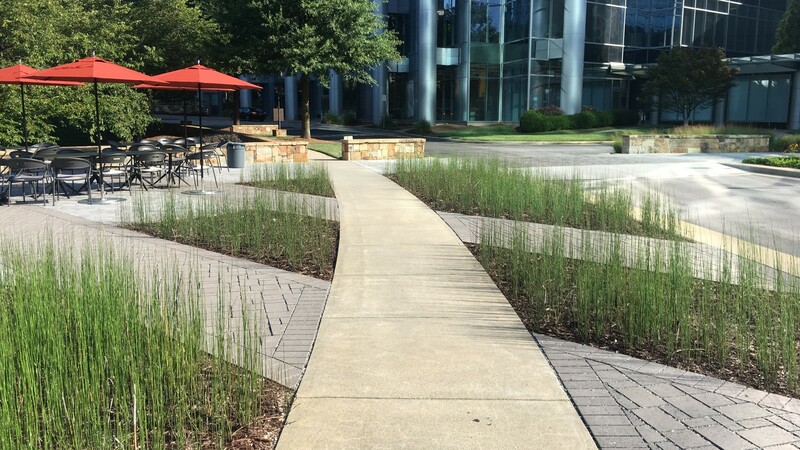 The remaining voids were turned into sunken vegetation gardens, planted with vertical, dense horsetail reed that flank walkways through the plaza. 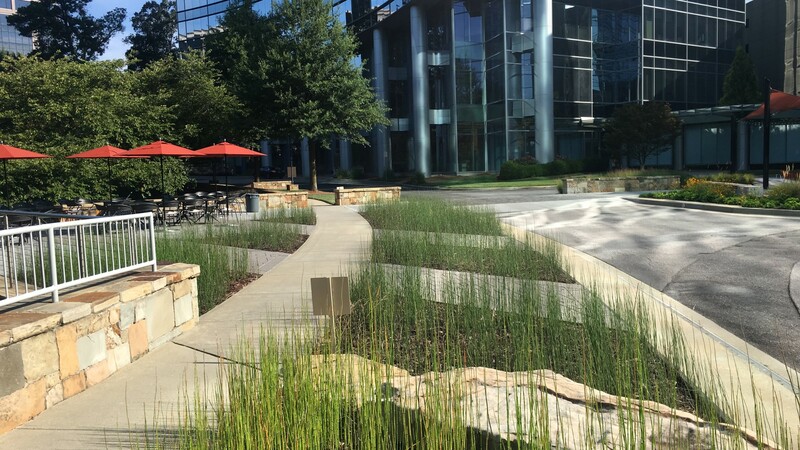 Natural plant material, including native grasses and perennials, soften the spaces near the drive aisle and building edge while bermed-up planting areas create a safe, screened edge for plaza users. 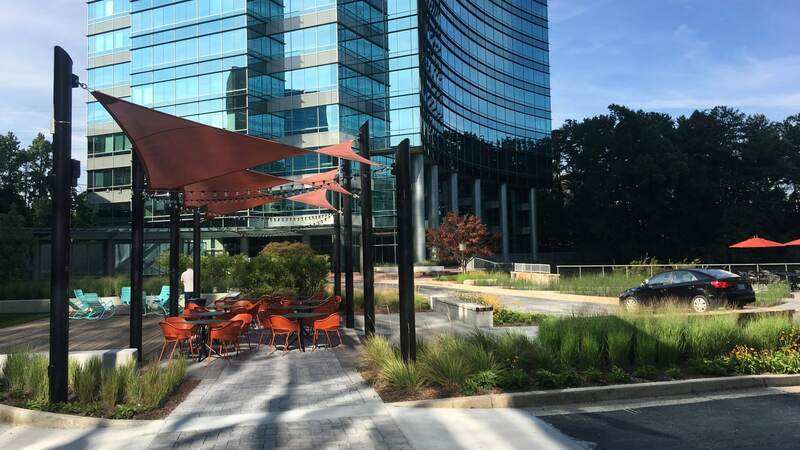 Large magnolia trees were saved to keep the dense evergreen screen in front of the existing parking garage and create a green, vegetated background for the new plaza. 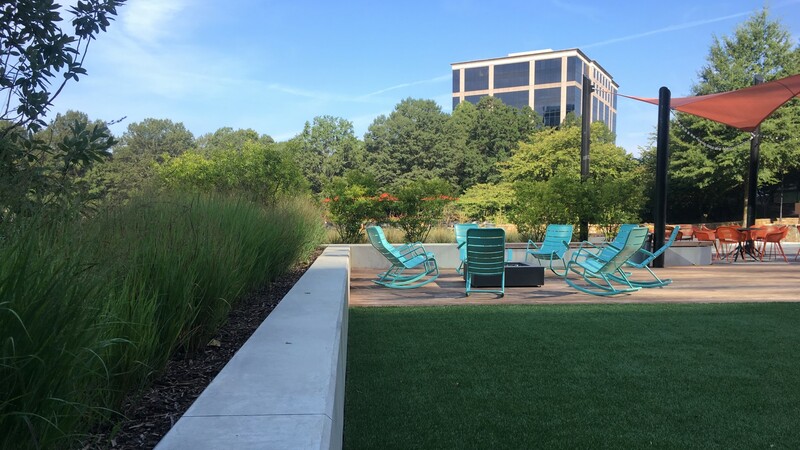 Perennials and shrubs provide color in lieu of annuals, providing seasonal interest. 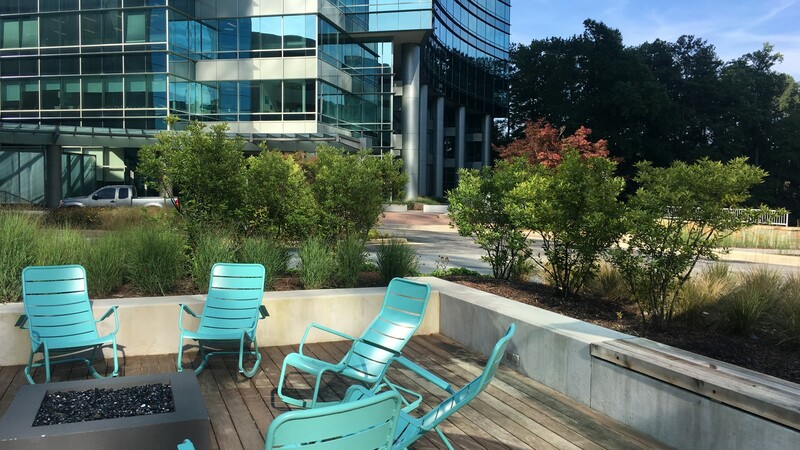 TSW also worked with the project architects and interior designers to marry the feel of furniture and materiality between the interior and exterior spaces to create a unified project character for the Class A office space.